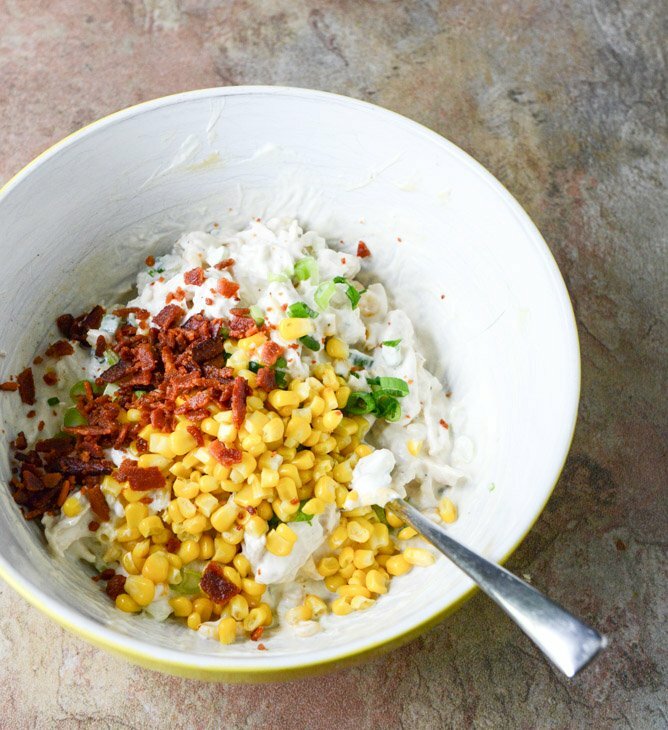 Sweet Corn, Bacon and Scallion Greek Yogurt Chicken Salad. I am all about snacks. I like to eat snacks for meals. I much prefer snacks over actual dishes, at least most days of the week. Snacks are easier and often crunchy and salty. Snacks mean I can eat a bunch of different things at the same time which keeps me from being the boredest (it’s now a word) person ever and snacks are so… so… satisfying. Snacks can also include chocolate and wine soooo… yeah. That’s why I like them. I get that this chicken salad can seem a little boring. It is one of those snacky meals that tastes better than you anticipate. It’s one of those snacky meals that can be eaten a bunch of different ways: on crackers, on toast, stuffed in an avocado, melted into a grilled cheese or shoved inside a warm croissant or pita. It gets a little tastier if it sits in the fridge for a few hours and even better if you add some hard boiled egg. Obviously. Eggs eggs eggs, it’s all I can think about. I almost shared another egg recipe with you today – accidentally on purpose of course – and then was like whoa. Reel in the egg talk. It’s enough. So my mom made a lot of chicken salad when I was growing up. She still does – I’m pretty sure it is one of her favorite meals. She uses the canned chicken but that’s not why I wouldn’t touch it with a ten foot pole – it was only because she looooves her celery in there. I… do not like celery. That is the understatement of the century. The abhorrence I feel for that crunchy little green stick may be stronger than anything I feel for broccoli or carrots. It’s just so… crunchy. In a bad way. And like sour or something. I’d beg my mom to make some chicken salad without the chopped green stuff and she would look at me like I had four heads. Celery in chicken salad is like the chocolate to her peanut butter. I enjoyed the actual chicken salad so much, however, that I would occasionally sit there and pick out every single little green chunk. It’s one thing that I still actually find myself doing with celery – one thing that I just can’t get over. I’ve forced myself to learn to like pepperoni on pizza and onions in, well… everything, because my growing age and utter laziness would hold me back from picking it all off. Well laziness and hunger. But not celery. No way jose. Two yeas ago I made a grilled greek chicken salad and used some greek yogurt instead of lots of mayo. I am all about the yogurt since it’s a bit tart. I just go nutso over tart flavors. Also, how in the heck was that two years ago? I definitely thought it was last year. Wrong. It was 2011. Sheesh. Stop it. Anyhoo – this tastes like summer to me. 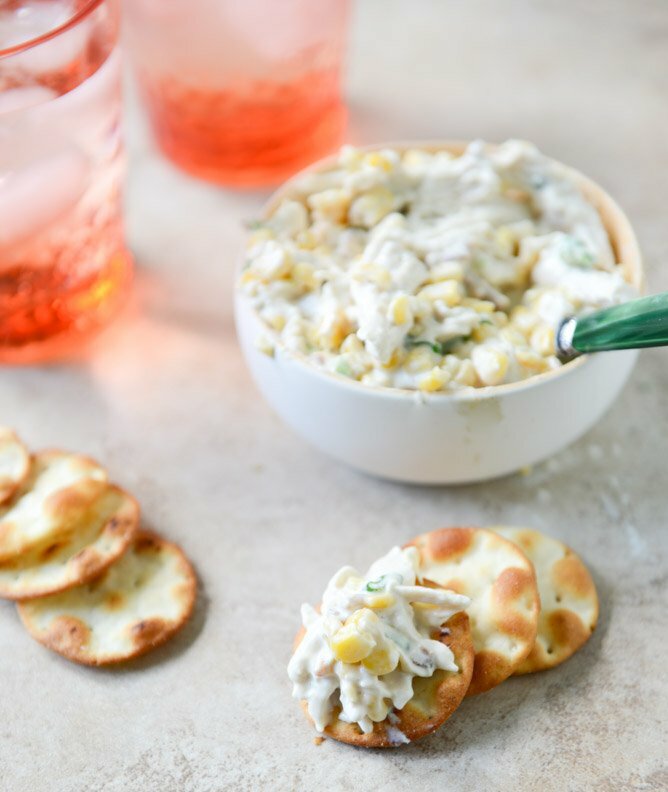 It’s super refreshing but a bit heartier than regular old chicken salad. I am ready, summer. Bring it on. Add shredded chicken to a large bowl and season with salt, pepper and paprika. Add yogurt, mayo and mustard, tossing well to coat, then fold in the corn, bacon, chives green onions. Taste and season with more salt and pepper if desired. And these crackers? The TJ’s pita crisps. I want to live inside that box. 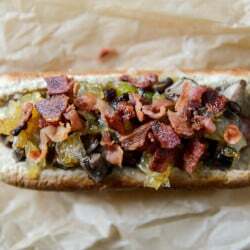 Loaded Cheddar Hot Dogs. yep, they’re a thing! I don’t like celery either!! What people??? Celery is Sooooo good for you. So you can just eat it on the side I guess. I love celery. You could put it in eggs and I would say that it just fine with me. Chicken salad or tuna salad without celery in it?…well, it just would be sort of Blaaaaaaaaaaaaaaaa. :) Just me. I hate celery in chicken salad too! This looks way better! I also loathe celery. And grapes in chicken salad? Who thought that up? It’s just wrong. Bacon and corn, on the other hand, seem like perfection. I can’t wait to try this. I might need a shovel. I loathe grapes or apples on my chicken salad as well. It’s just not right or normal!!! You would hate my grandmother’s potato salad. Diced apple was her secret ingredient and now I won’t make mine without it. I do agree with you on grapes. This dip looks delicious. 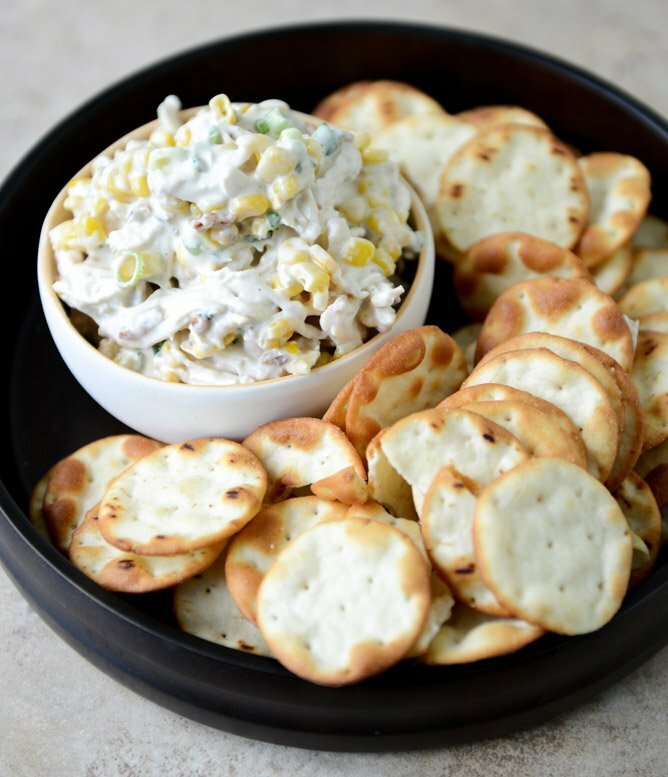 Are those Pita Bite crackers? I just discovered those this past week and love them. They would be perfect for the dip. For the record, I love celery as an ingredient in various recipes. Sorry, kids, you’re missing out! Oops, just realized that you told the details on the pita chips. I will look for those too. This is for me, I am for it. Making tomorrow. i made this over the weekend.. so good! I served it as sandwiches, so I just diced the chicken instead. The bacon and smoked paprika totally make the dish. Since it’s a bit more savory, I served it with challah. Sooo good!! Oh man, this chicken salad sounds awesome :) If I made this it would be gone in a flash! My mother is the SAME way!! Celery in chicken salad, celery in tuna salad, celery in green salad!! ENOUGH! haha I finally had to tell her I’d bring the salad, or whatever so that I could make it without. I swear, she’s obsessed. Can’t wait to try this recipe! Sounds (and looks) delicious! Just made this for dinner…YUMMMMMM! Definitely a keeper. Thanks! I love the idea of using Greek yogurt in chicken salad instead of mayo and cream. Sounds light, perfect for summer! Made this last night…it is delicious! The smoked paprika totally makes this dish. First time I used this seasoning and I love it…we all loved it! Thanks so much! 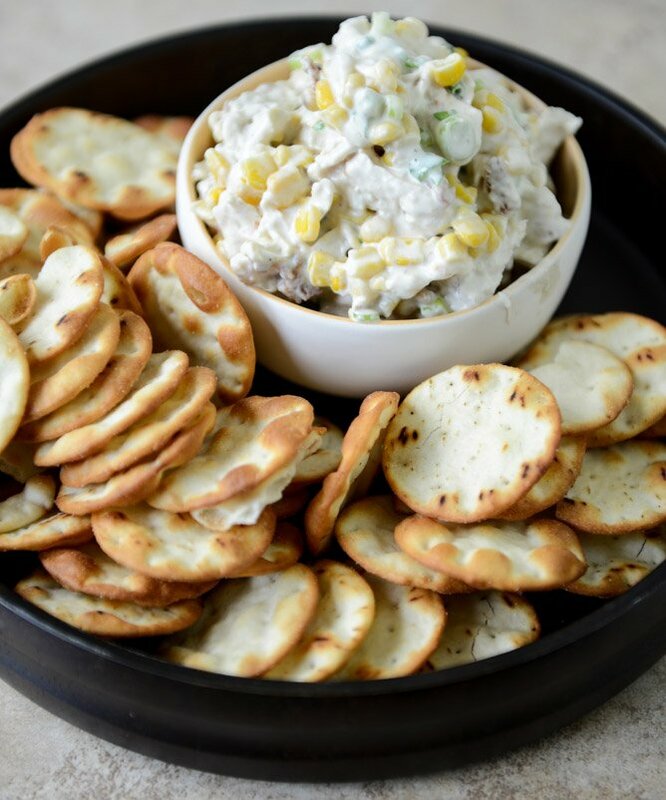 Pingback: Picnic Ready: Sweet Corn and Bacon Chicken Salad | Mancktastic! I never liked pepperoni on pizza either until I tried it once with green olives – now it’s the only way we order it! Pingback: Spicy Chicken Salad Sandwiches! | What, You Mean I Have To Measure Something? Celery is disgusting. This chicken salad? AMAZING. Made it this weekend and I am in love. Also, serves 2-4? How about serves ME for 2-4 days, cause I’m not sharing! Made this last night! Delicious! I love the scallions in it–much better than celery. Finally! 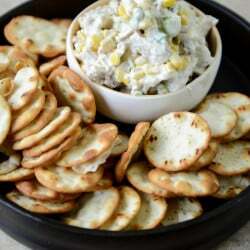 A recipe for a good chicken salad without celery! (I strongly dislike celery as well….I don’t like the way it looks, the way it sounds when it’s chewed…and worst of all…the smell…..ewwww. I can not wait to try this – and check out more of your recipes! I am so glad to see I am not the only one with an abnormal hatred for celery. I abhor it. I pick it out of everything I see. And I have to ask every single restaurant if they have celery in their chicken, tuna, egg salad… I don’t like the taste, the texture, the smell… Not one single thing about it. Ick! 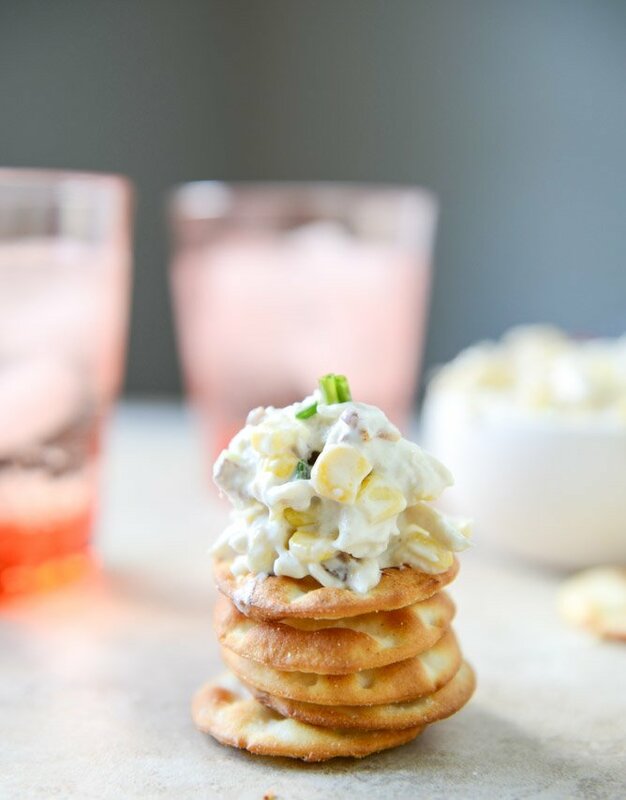 Can’t wait to try this chicken salad recipe! I’m just curious, would it taste better without mixing the yogurt and mayo? Like just using one or the other?